Chief Minister KCR's family visited Shirdi Sai Baba. The temple officials were greeted by the Chief KCR who arrived at Shirdi Temple. KCR performed special poojas and paid mobs. Subsequently, the temple officials delivered pilgrimages. 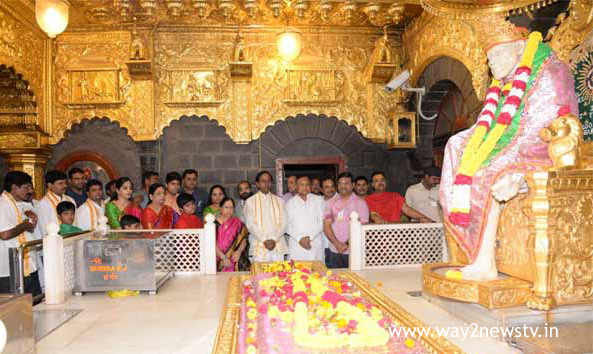 The Chief KCR's family traveled to Shirdi from Begumpet Airport in a special flight to visit Shirdi Sai Baba. The evening will come back to Hyderabad tomorrow.